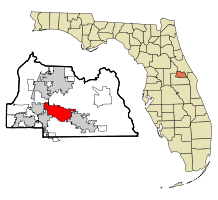 Winter Springs, Florida is located in Seminole County. The city has boomed over the years and seen many new homes, town homes and condominiums be developed. As appraisers we really know Winter Springs and would be happy to serve your appraisal needs. In Winter Springs, Florida we appraise single family homes, condos, condominiums, vacant land, houses, manufactured homes, mobile homes and modular homes all over Central Florida. For Mortgages, REO Appraisals, Employee Relocation, Review, Bankruptcy, Private Mortgage Insurance (PMI) Removal, Estate Planning, Divorce Settlement and Probate purposes.